No first time trip to China would be complete without walking along the Great Wall, the longest wall in the world. It's one of the New Seven Wonders of the World, is a UNESCO World Heritage Site, and attracts thousands of visitors from across the world every single day. Visiting The Great Wall of China was incredible, and I'd recommend any keen traveler to visit. It doesn't matter how many photographs you've previously seen, nothing compares to exploring the Great Wall in real life and experiencing the size of it for yourself. When I visited the Mutianya section of the wall in July 2016, it had been raining that morning which meant there were very few other visitors. In fact, our group often had sections of the wall completely to ourselves. It was a world away from photographs I'd seen beforehand of visitors crammed side by side with no room to freely explore. The weather was fairly misty, which although it meant you couldn't see miles ahead of you, it made the place feel so mysterious. Located right next to the entrance to The Forbidden City is Tiananmen Square, the largest city square in the world. The square is home to the Monument to the People's Heroes, as well as the Mausoleum of Mao Zedong. Outside of China, the square is sadly best known for the Tiananmen Square Massacre, where hundreds of demonstrators were killed whilst they protested for democracy, and freedom of speech, among other issues. It's said that the square is so large it can hold up to 1 million people in total. Located in Southern Beijing is The Temple of Heaven, a complex of ornate buildings set within park gardens. It's a UNESCO World Heritage Site, and symbolizes the relationship between heaven and earth. For example, the main building, the Hall of Prayer for Good Harvests, has a square base and a round hall to represent heaven and earth. This impressive building was also made without using any nails! 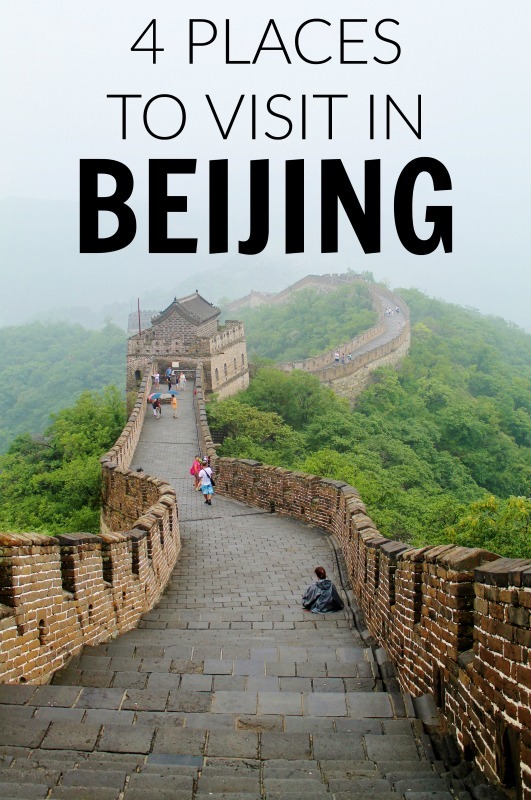 It's a must see in Beijing. From Beijing you can easily reach many of the other main cities within China. There are frequent flights between Beijing and Shanghai which take roughly two hours and can be very affordable. If you have more time to play with, there are also overnight trains (certainly an experience to have with the locals!) to cities such as Xi'An and Shanghai. Just prepare to be flexible with your plans! My overnight train from Beijing to Xi'An was supposed to only take 12 hours, but because of flooding it turned into a 29 hour train journey!